Throughout August Royal College of Art graduates and twin brothers Jack & Sam Carvosso will be taking part in an experimental residency 'Landslide', staging an immersive environment that will encompass photography, drawing, sculpture, animation and sound art. The outcome of the residency will be presented at #FirstThursdays 7th September 6-9pm. For more information on their works visit the collection page here. 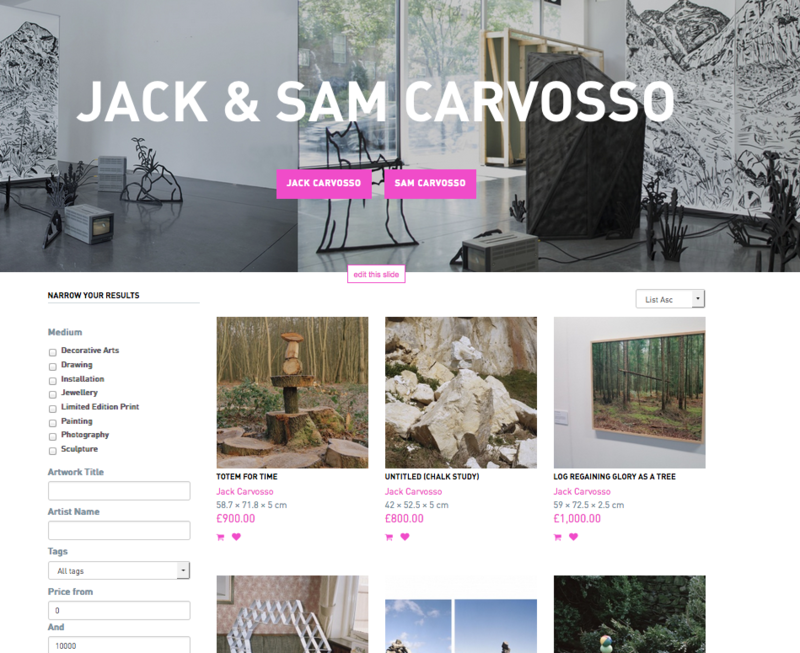 Jack and Sam Carvosso’s practices research the construction of reality, or pseudo-realities, and all the elusive experiences that these come with. Informed by cinema, theatre, and virtual reality, Carvosso and Carvosso aim to find ways of creating and describing moments spent in the landscape, both from memories and fictitious daydreams. These realities, however, are simultaneously created and destroyed from a constant ‘reality check’ or ‘break’ taking place through the reveal of material, ruptured photographs, and an often raw approach to making. These breaks are used to discuss the boundaries of image, the finitude of existence, and our perception of reality. Tumbling rocks, the deconstruction of mountains, Landslide will explore the construction and deconstruction of the landscape, viewing the act of natural erosion as moments of fragility and breaks in reality. In their first collaborative residency and second collaborative show, Landslide, Carvosso and Carvosso will be making work with an ambiguous stance between coming and going, reality and imagination, centre stage and backstage. They will be considering the roles of drawing, photography, sculpture, video and sound as tools to convey moments of nostalgia and exploration within the landscape. Jack Carvosso's practice uses photography as a means to study our relationship with time and the everyday. The temporality of objects, moments, and actions are explored in a visual rhetoric that balances on the boundary of fact and fiction. Within this dialogue are references to photographic processes and theories that focus on the sole existence of subject matter as its own two-dimensional photographic reproduction. Sam Carvosso's practice attempts to observe the relationships between found objects, made sculpture and language, in order to create illusive, ambiguous narratives. 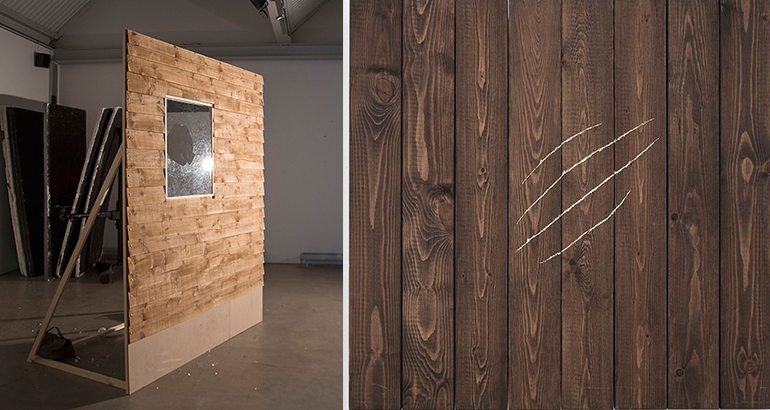 Sam work's within a known sculptural language as a currency from which forms and material are taken. These are then flipped, stretched and tangled with found objects, images and titles randomly compiled together. Sam creates these arrangements of seemingly random elements to activate or provoke certain reactions. Are we concerned that a sculpture has fallen over? Or are we curious as to why it has.